Do you want window treatments for your home in the worst way, but don't know where to start? Here are 15 sew and no-sew upcycled DIY window treatment ideas that just about anybody can do. These window treatment ideas are easy, creative and will allow your home to have the best-dressed windows for less!. I have included ideas for every room in the house, providing you with plenty of options to express your own vision for your home. 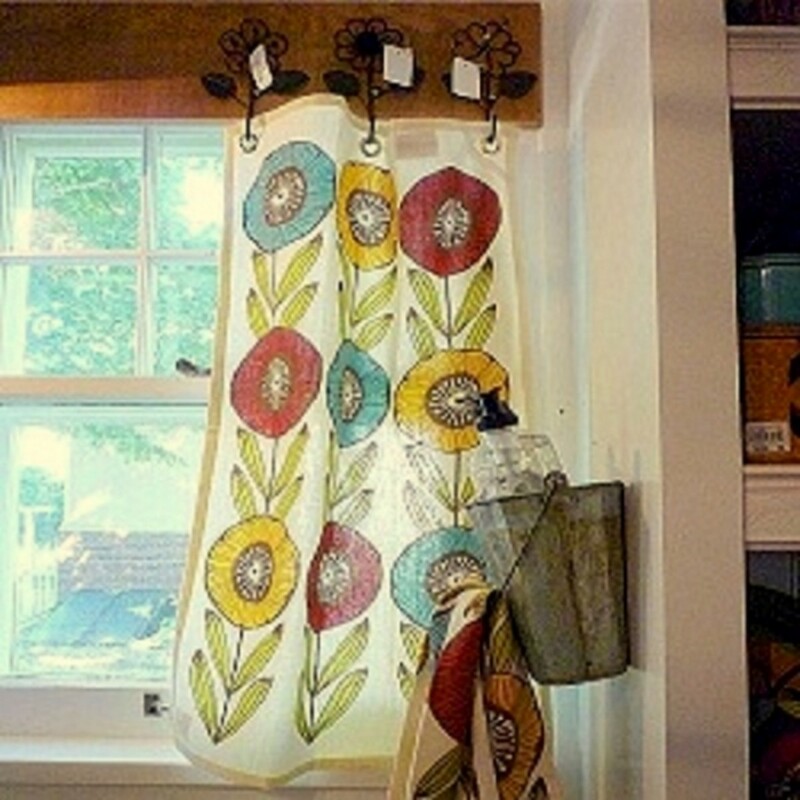 Sew and No-Sew Upcycled DIY Window Treatment Idea #1 - Tea Towel 'Stationary Panels' - Grommets make it happen! 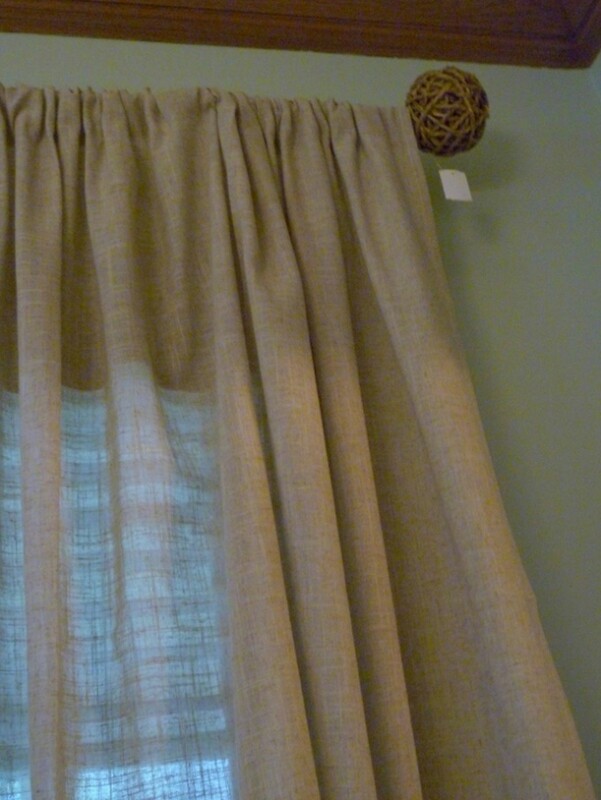 This is a super-simple no-sew upcycled DIY window treatment idea. The concept here is to create 'stationary curtain panels' using ready-made tea towels. The panels won't be operational, just decorative. In the example shown, the finished panels are hung from the bottom of the window frame to the top of the windowsill. Measure the length of your opening; if it is longer than the length of a tea towel, you might consider using a table runner for more length. 1. 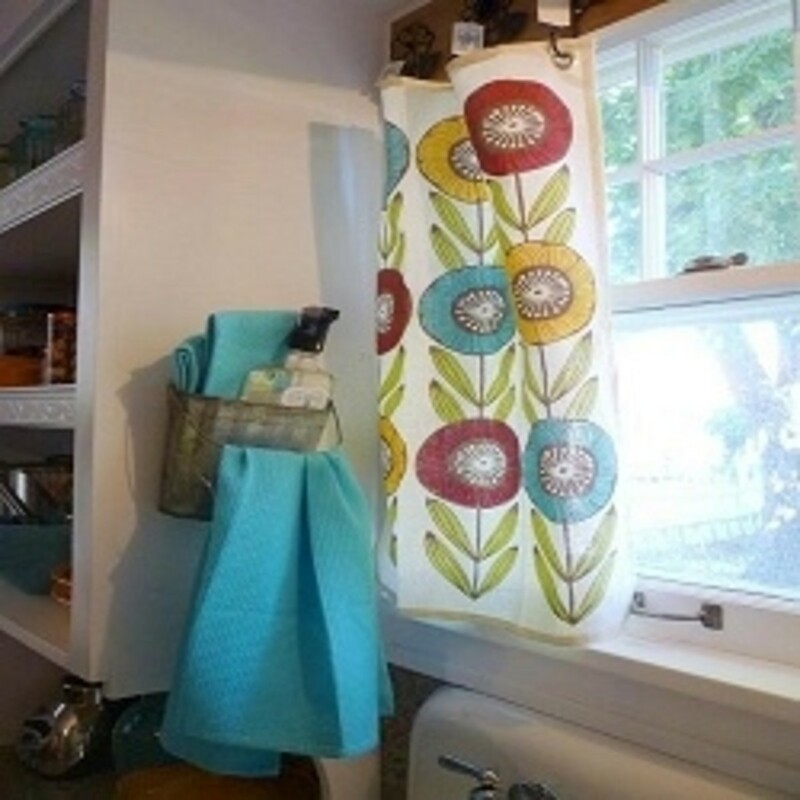 Using a tea towel of your choice, install 3 grommets on the narrow side of the towel, according to the package directions, spacing them evenly across the towel. Repeat the process with a second towel. For more grommet installation information, view the YouTube video below. 2. Measure and cut a piece of wood to fit the width of your window. 3. Screw three decorative hooks on each side of the wood piece (extra points for using a decorative hook that repeats the motif in the tea towel). 4. Screw the wood piece into the window frame. 5. Hang a grommeted tea towel on each side of the wood piece. Create a simple complementary no-sew window treatment for a longer window in the same room by simply hanging 3 Mason jars, filled with coordinating permanent botanical flowers, from the top of the window frame as a 'valance', and install a 'cafe curtain' with another board-mounted tea towel set of 'stationary panels', hung at the mid-point of the window. The floral motif in the tea towel has been reinforced by arranging an assortment of potted fresh flowering plants on the radiator top. Not interested in watering a bunch of pots? No worries. Permanent botanicals would serve just a well without requiring any attention on your part. 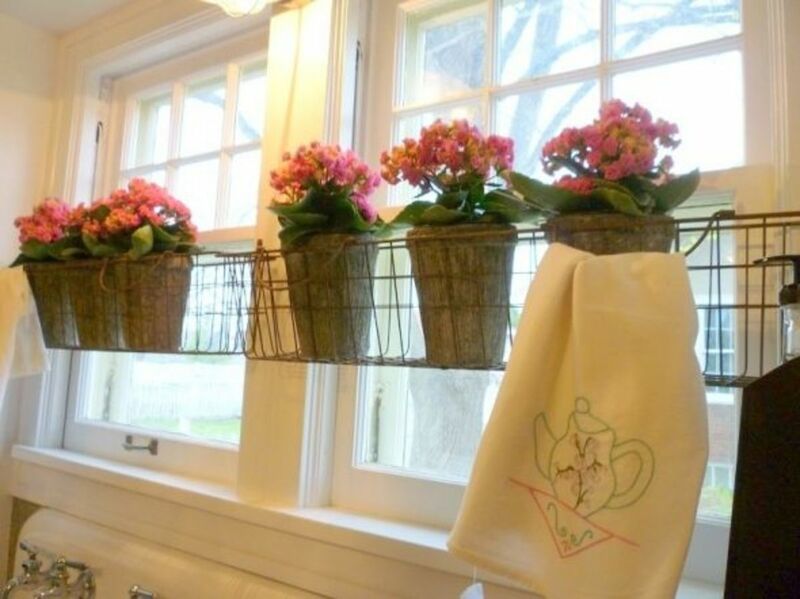 Use glossy spray paint on the flower pots to coordinate with the colors in the tea towel. If wall space allows, hang a clock, shown here, or other artwork as another opportunity to repeat the room's color scheme. I love the orange accents in this tea towel - add more pops of orange in placemats, serving pieces and casseroles. Perfect for a vintage or shabby chic kitchen! This towel features a subtle paisley pattern, ideal with white woodwork and cabinets and a watercolor glass tile backsplash - yum! I absolutely LOVE this inspirational window treatment idea book! I bring it to client appointments and we go through it together to give us both an idea of what the client likes and dislikes in terms of their own possible window treatments. Most people find it easier to respond to pictures, rather than trying to verbally describe what they do or don't like, and the photos in this book offer so many window treatment ideas, it's easy to narrow down choices quickly. I totally recommend this book to anyone who is looking for window treatment ideas - you'll find them here! 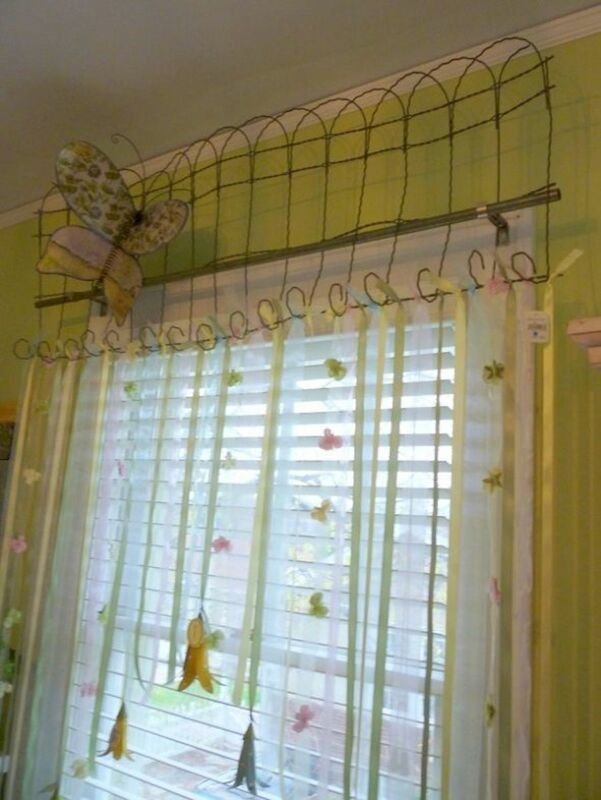 It doesn't get much more no-sew than this upcycled DIY window treatment idea! Screw a length of iron, cut to size, to your window frame. Space refrigerator magnets evenly on napkins, allowing fullness to create folds in the napkins. The magnets will hold the napkins in place. 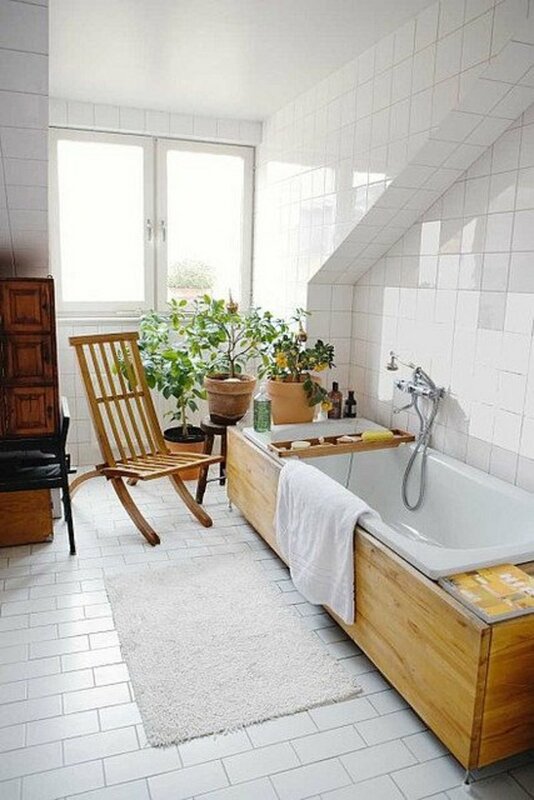 Use this idea on windows that could use a little privacy, such as a half-bath, as shown here. Have a longer window? Use a tea towel instead of a napkin. Truly a no-sew upcycled DIY window treatment here! Take an old (or not so old) pair of glass-front cabinet doors and screw them to the window frame, using the cabinet doors' existing hinges. The 'shutters' do not even have to be the same size as the windows; close enough is just fine. Mount vintage (or vintage-looking) photos to the back side of the glass using simple masking tape. This idea would work equally well using vintage postcards, Christmas cards, Valentines or, really, any image you'd like to use! 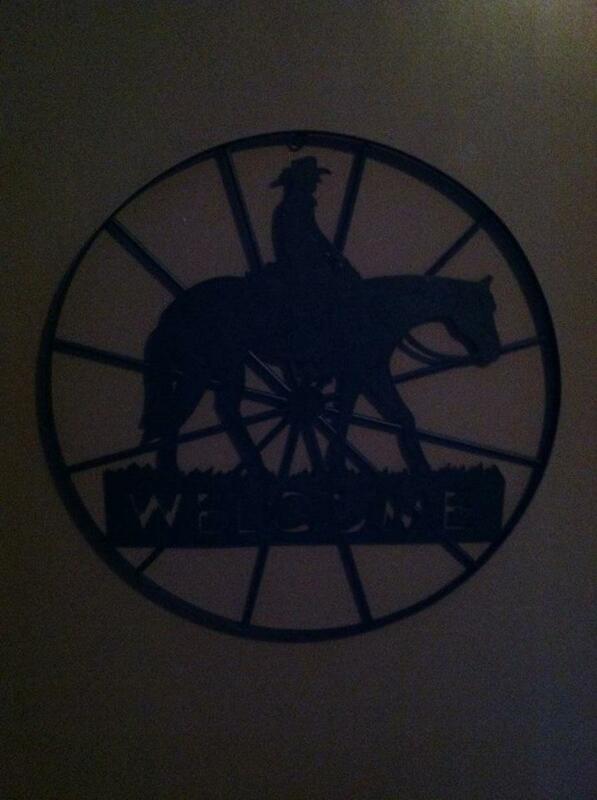 Change out your pictures often to keep things fresh - what fun!! Although this example is set in a bedroom, there is no reason this no-sew upcycled DIY window treatment idea couldn't be used in any room where you want to make a dramatic statement, such as great room, office or dining room. The room in this example is in an old home with 8-foot ceilings. To create a feeling of height, inexpensive white rods are hung close to the ceiling, from corner to corner. Be sure to add several support brackets along the length of the rod to keep it from sagging. Neutral patterned panels are hung on either end of the wall, with sheer curtains only hung over the windows to softly filter the light. The result? A dramatic backdrop to the bed and low-profile headboard, which was made from old doors placed horizontally. 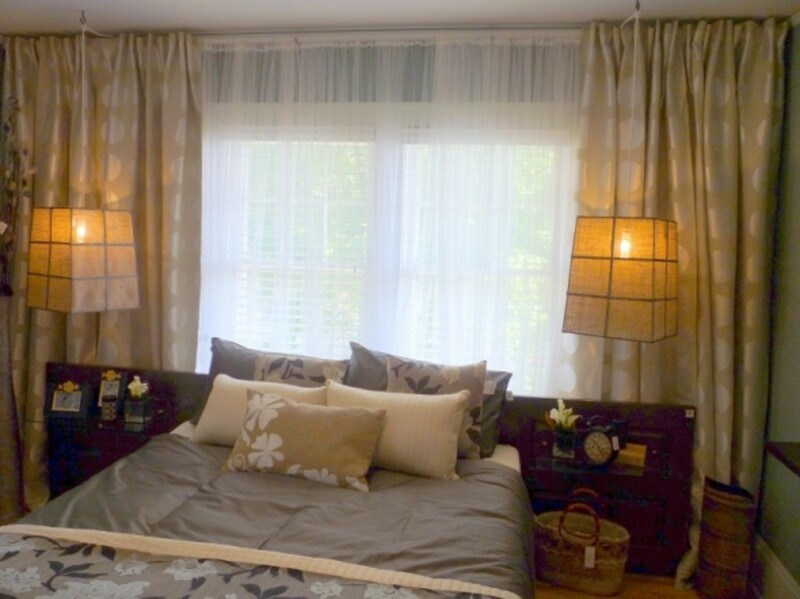 Depending on the size of your room, you may need additional patterned panels and sheers to span the window. This no-sew window treatment offers a lot of visual bang for the buck, so enjoy it! 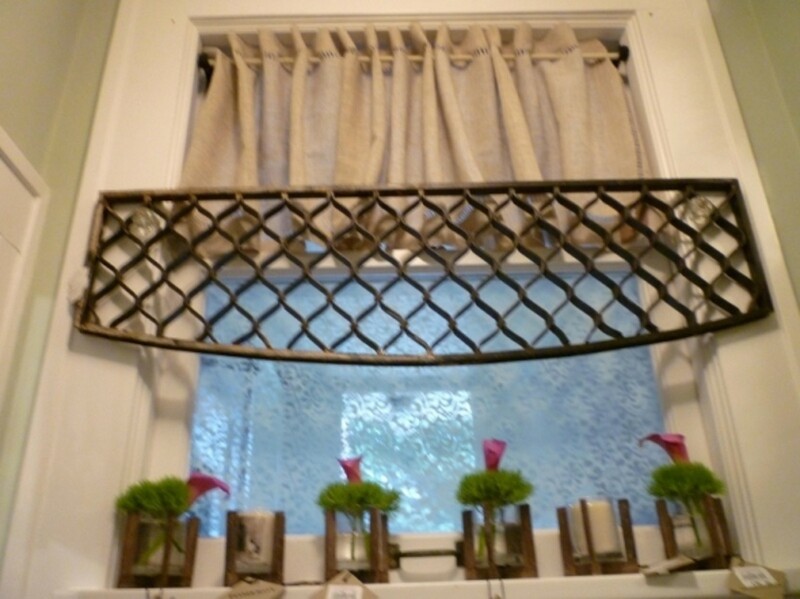 Add texture and visual interest to any room using this no-sew upcycled DIY window treatment! 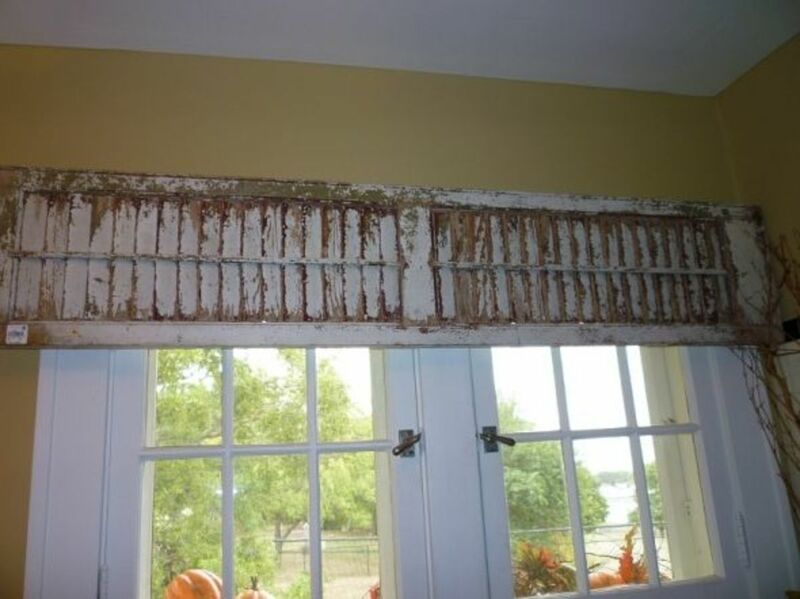 Use an old, wooden exterior shutter as a cornice. It doesn't have to be exactly the same width as your window - a few inches longer is perfectly fine. Use a wire brush to gently remove any peeling paint, then seal the remaining finish by applying a coat or two of matte spray polyurethane. Once the poly has dried, simply screw the shutter to the window frame in a couple of places to ensure a secure hold. This DIY window treatment works well in any room, but makes a very practical choice in a damp environment, such as the bathroom, shown here. 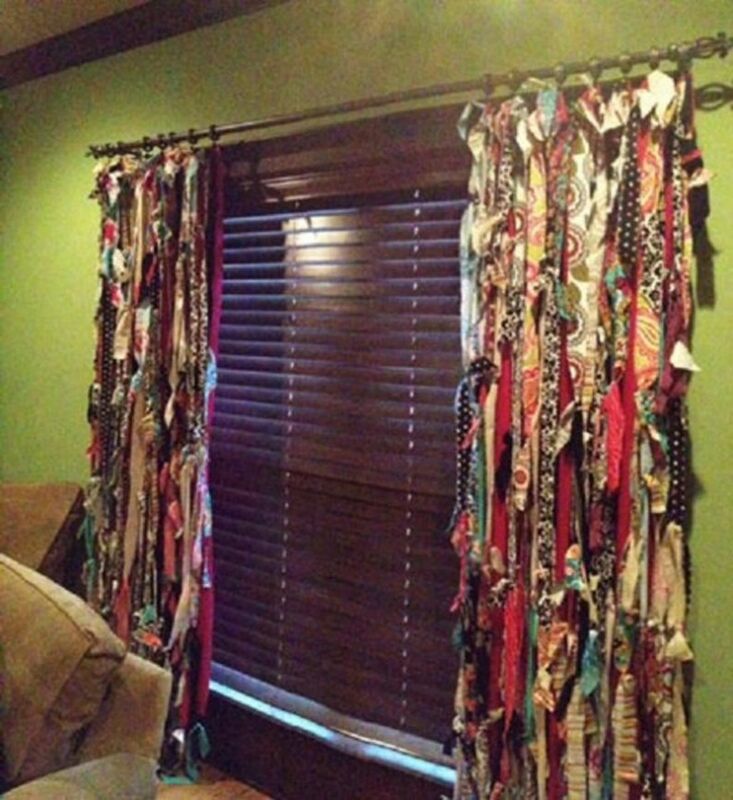 Which Sew and No-Sew Upcycled DIY Window Treatment Idea is Your Favorite So Far? This project is a bit more work, but the results are worth it! 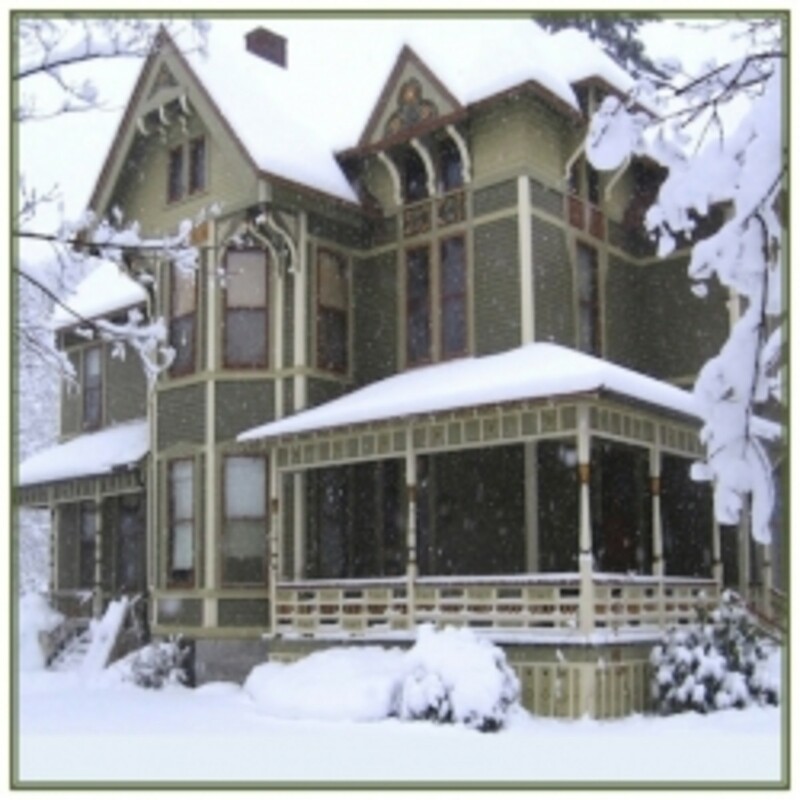 Refer to the YouTube videos, below, for complete cornice board assembly directions. Once the cornice is finished, feel free to add any embellishments you like. In this example, eye screws were placed across the bottom of the cornice and snap-in photo keychains with different dog pictures in each were added as a finishing touch. This cornice is similar to the one above, except it does not require a dust cover. Use L-brackets to attach the cornice sides to the cornice front. 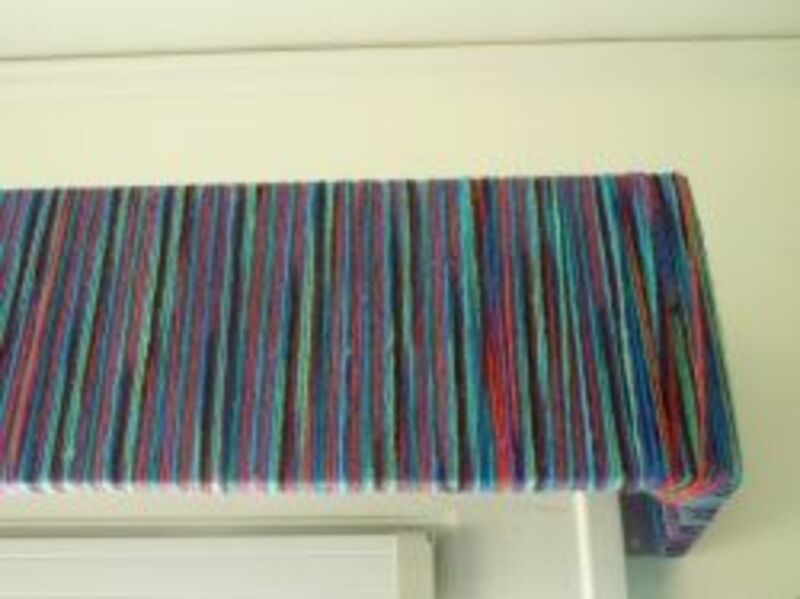 Then completely wrap yarn of your choice (variegated yarn is shown in this example) around the cornice, starting at one return and working your way to the end of the return on the other side. Secure the yarn at the beginning and end with a staple or two. 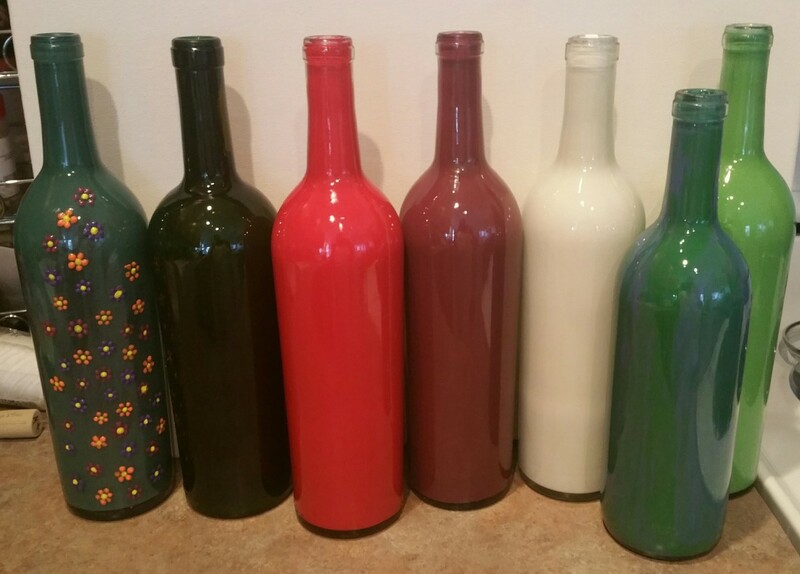 This is a super easy project yielding colorful results! 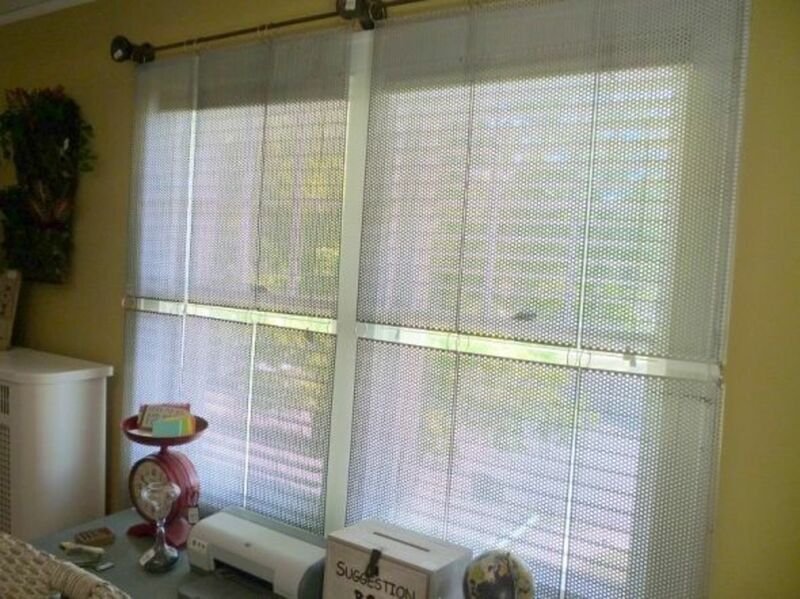 This sweet window treatment requires no sewing at all and offers a softly sophisticated style! This project is fairly self-explanatory and can be modified to suit your tastes. 1. Measure the width of your window and cut the rabbit fencing to length. 2. Optional: Spray paint the rabbit fencing to coordinate with your room's décor. 3. Use a pliers to curl up the bottom of the fencing, as shown. 4. Wire the fencing to an installed curtain rod, sprayed the same color as your fencing. 5. Optional: Wire decorative embellishments to the fencing. A large butterfly and dragonfly have been added to both ends of the valance. 6. 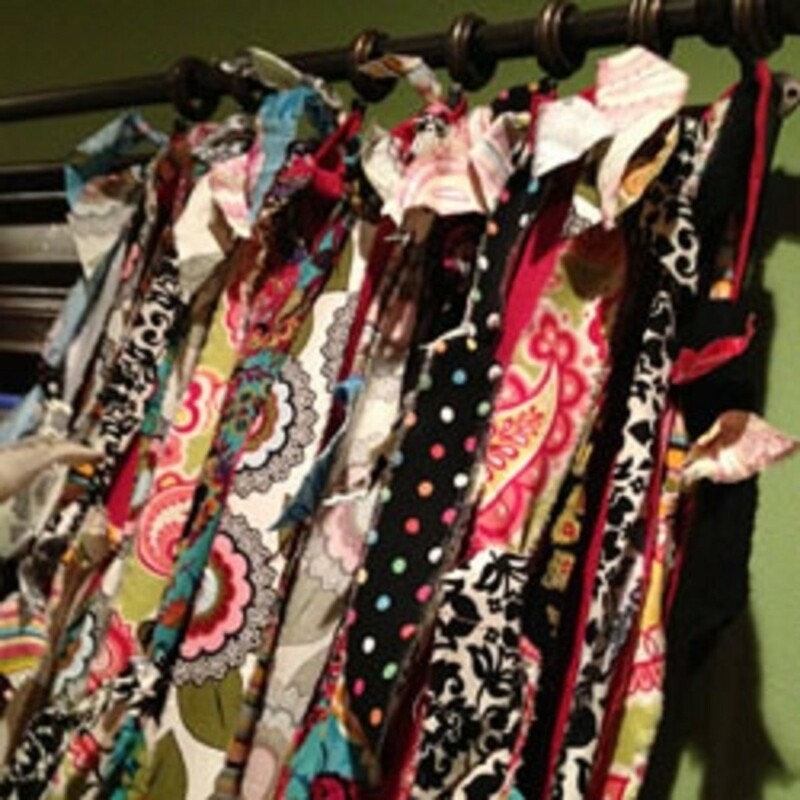 Tie on various colors and styles of ribbon to coordinate with your room's color scheme. 7. 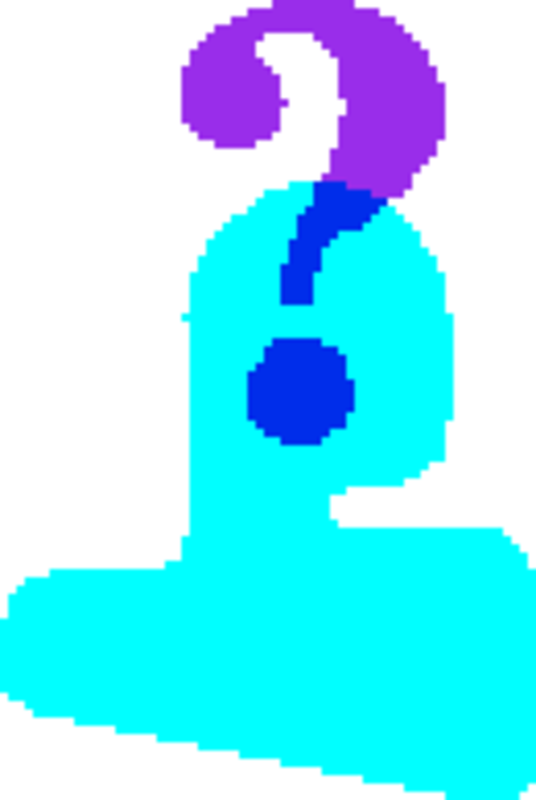 Cut the ribbons in an inverted 'V' shape, as shown, or leave all ribbons one length; the choice is yours. 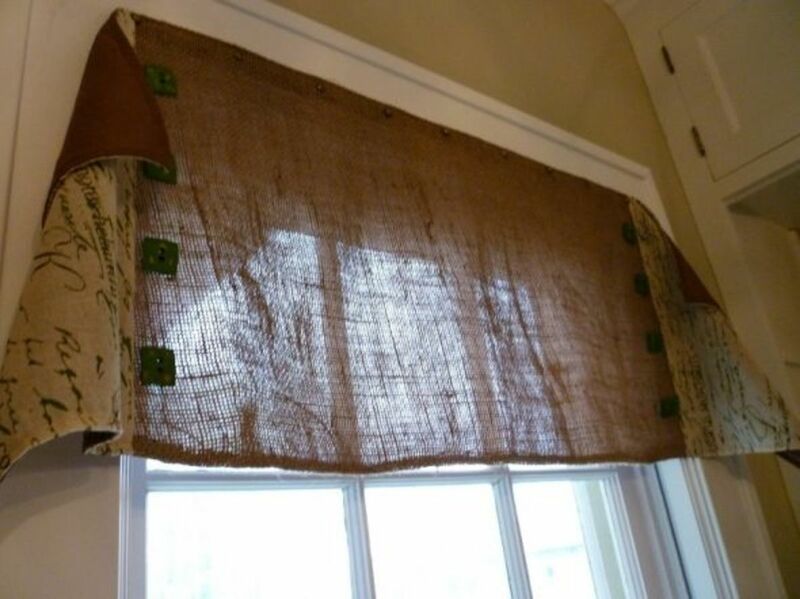 Here is another simple no-sew upcycled DIY window treatment idea! Attach a ready-made table runner near the top of a window frame using decorative thumb tacks or upholstery tacks. The table runner is centered on the window and the balance of the runner falls in soft folds on the window's sides. The runner is sheer enough to allow filtered light, keeping the room awash in light. Here we have a multi-layered window treatment idea, starting with a table runner with a hemstitched insert, shirred on a tension rod, mounted inside the window. A tatted lace table runner would also work in this situation. Slightly above the junction of the double-hung window, a vintage grate has been attached to the window frame with screws. Finally, the bottom double-hung window has been sprayed with flocking through a stencil made from a piece of lace. Six small votive cups alternate holding candles and individual baby calla lilies, adding a touch of color to an otherwise neutral window treatment. 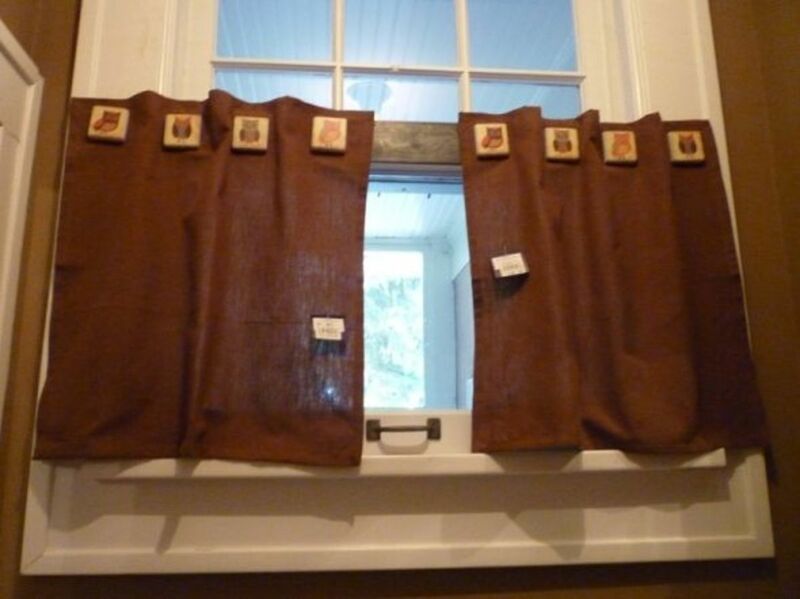 Which Sew and No-Sew Upcycled DIY Window Treatment Idea Tickles Your Fancy? 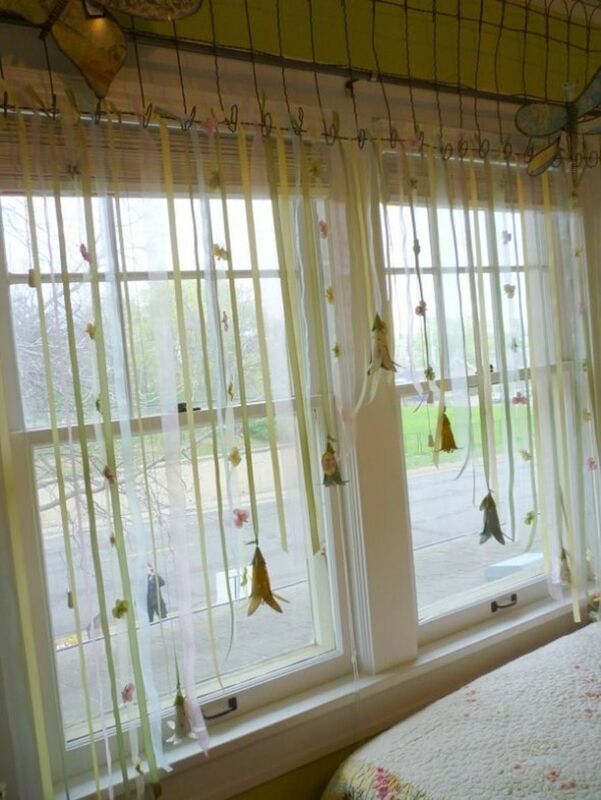 Which Sew and No-Sew Upcycled DIY Window Treatment Tickles Your Fancy? Thinking About Making Your Own Window Treatments? - Start here! If you're thinking about DIY window treatments, but don't have much expertise in this area, you need this book! I love this book because it gives you simple projects AND the how-to information to do them well! 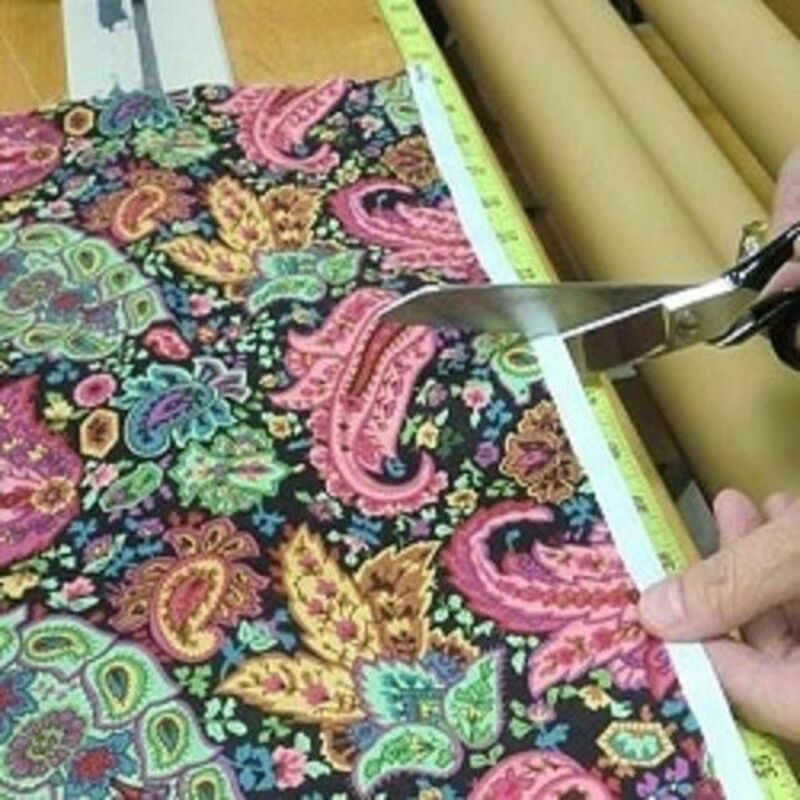 It includes the basics of fabric selection, how to match patterns, as well as sewing tips, finishing details and even some secrets about installing your completed window treatment. Set yourself up for success by starting with an easy project and gain the confidence you need to tackle your next, more complex project. You can do it and this book will help you get there! 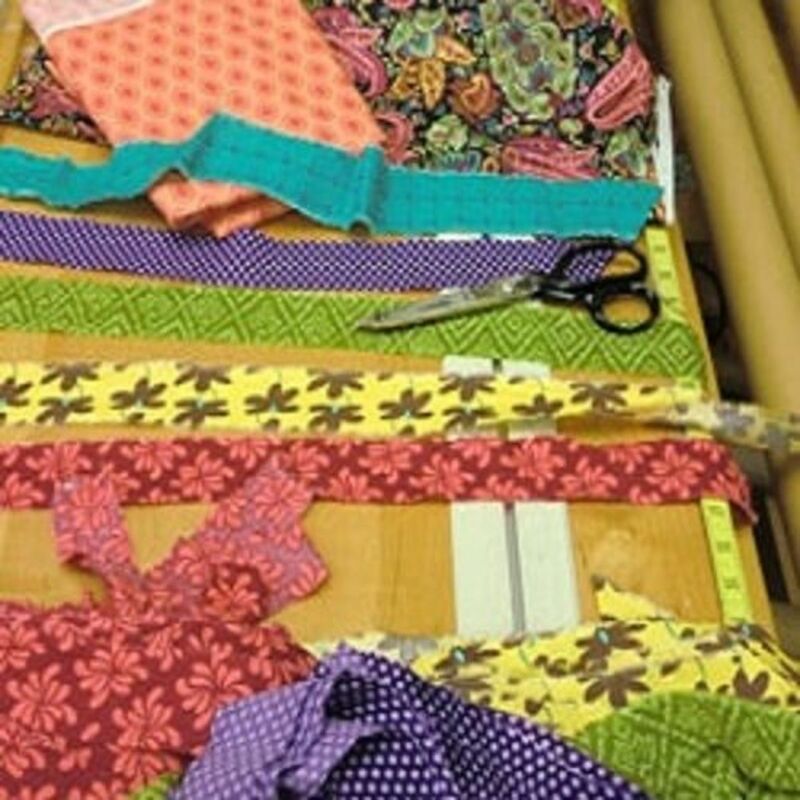 Sew and No-Sew Upcycled DIY Window Treatment Idea #11 - Happy Scrappy No-Sew Curtains - A great way to use up leftover craft and quilt fabric! 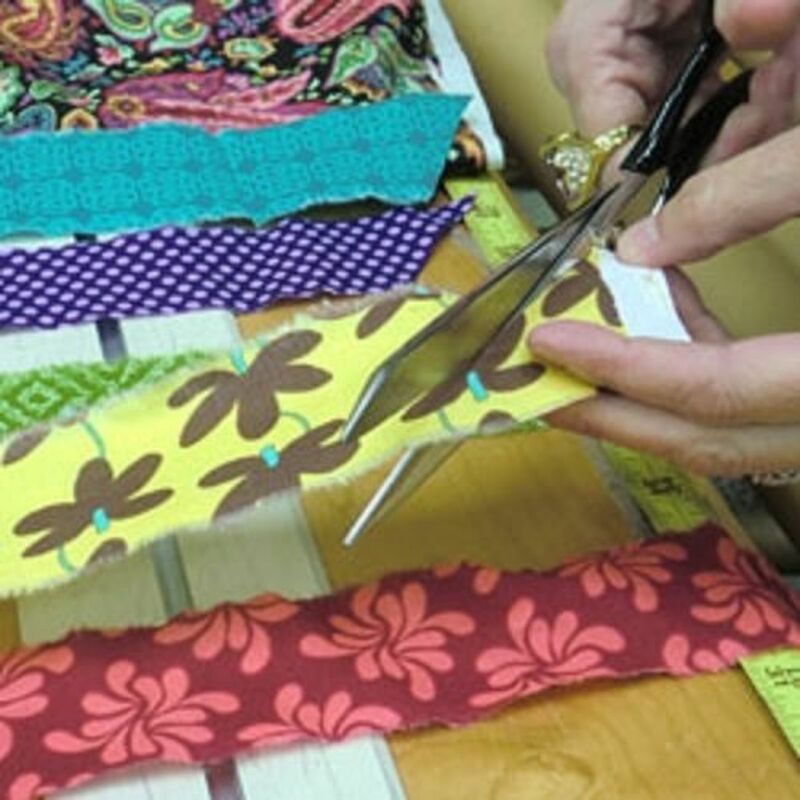 You can attach the fabric scraps to a ready-made sheer (or other lightweight curtain) or simply tie the scraps directly to a curtain rod - it's your choice. I can envision this window treatment idea made with an ombre effect, with the fabrics going from light to dark, top to bottom. How cool! Sew and No-Sew Upcycled DIY Window Treatment Idea #12 - Add a DIY Finial to Ready-Made Drapery Panels - Use your imagination for this project! In this example, an upcycled DIY finial has been made using an assortment of feathers wired together, with the remaining length of wires inserted through a candle drip catcher (aka 'bobeche'), and then into a cork. The snugly-fitting cork is inserted into the end of the rod. Use any combination of feathers and any color bobeche that coordinates with your décor for a truly personalized upcycled DIY finial. Make your own DIY drapery rod finials for a totally custom look. In this example, a simple rattan orb has been wired to a cork, which has then been inserted into the opening of the drapery rod, creating an interesting, textured DIY finial. This upcycled DIY window treatment idea is so simple, you'll wonder why you haven't done it before! 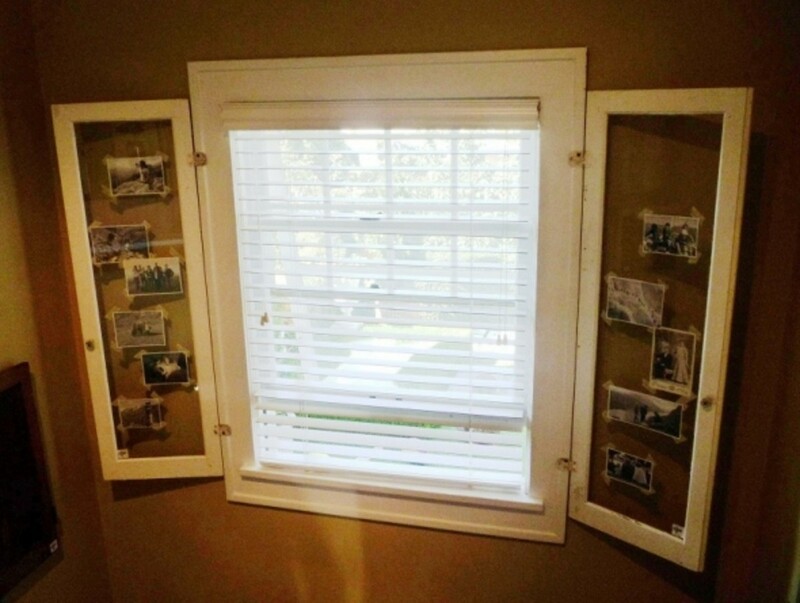 Simply screw a wire window box to your window (two in this example, one on each double-hung window). Fill with fresh or permanent potted flowers, depending on your desired level of maintenance, and you're done! This is an easy way to filter sunlight in your room and add an industrial chic look. 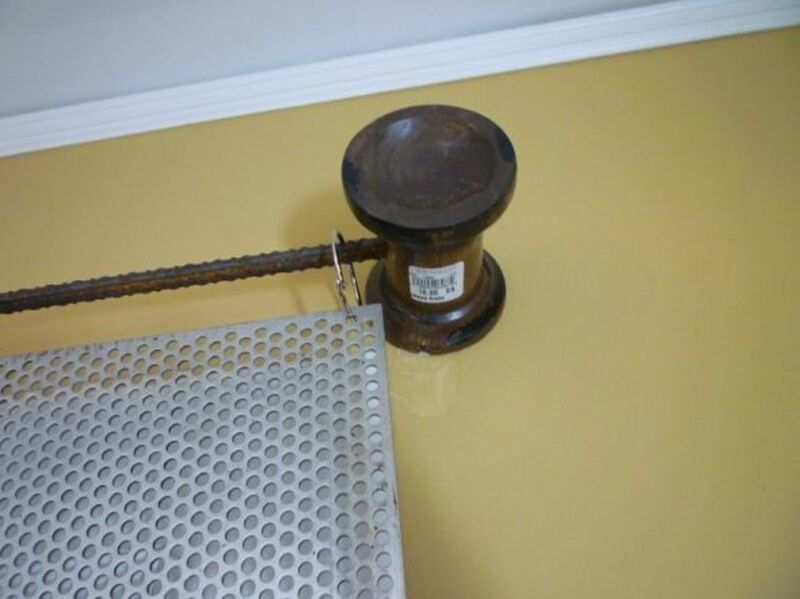 These 'stationary panels' are nothing more than metal screens attached with office supply rings and hung by the same rings onto a rod made from rebar. The rods are held in place by three 'brackets' made from round wooden candlestick holders, reinforcing the circular theme. See close-up pictures of the metal screen 'stationary panels' below. Add texture and dimension to the windows in your room via permanent botanicals. 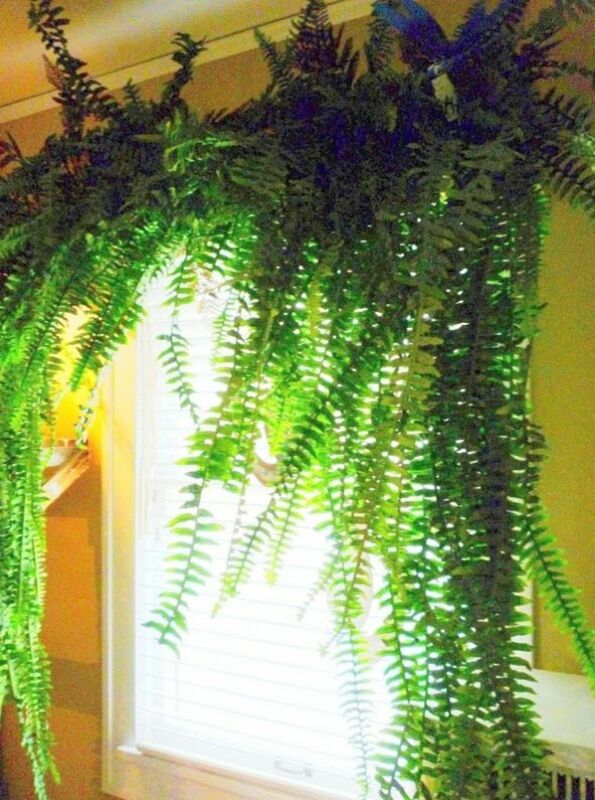 Faux Boston ferns were simply stapled to the window frames. The tendrils on both sides of the window serve as cascading jabots. This no-sew upcycled DIY window treatment is gender neutral, making it a good choice to use in just about any room! Even though these metal screens are thin, the weight adds up when you consider six screens are needed to cover each window. For that reason, a middle support bracket is recommended to prevent the rod from sagging. See a close-up of the office supply rings connecting the metal screens below. 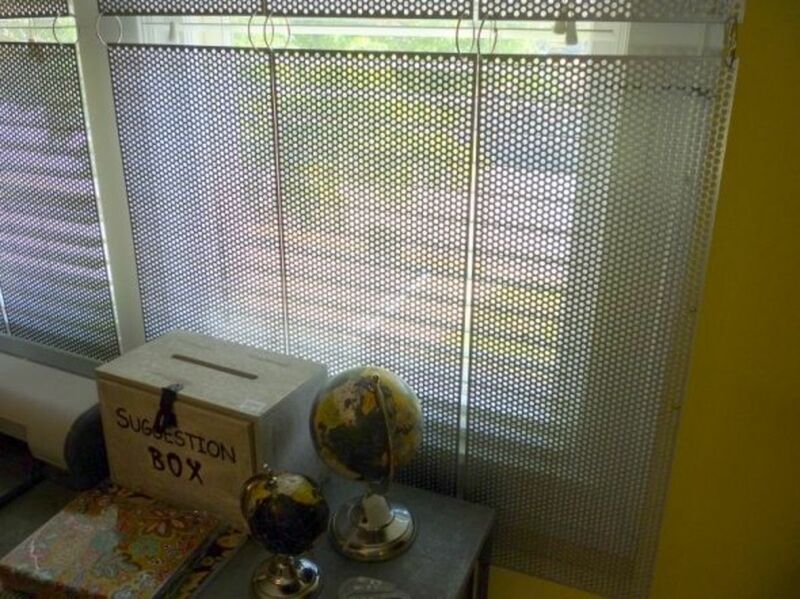 Depending on the size of your window, just add or subtract mesh screens to fit your situation. If you want your panels closer together, simply use smaller rings. Metal screening and rebar can be found at most home improvement stores. 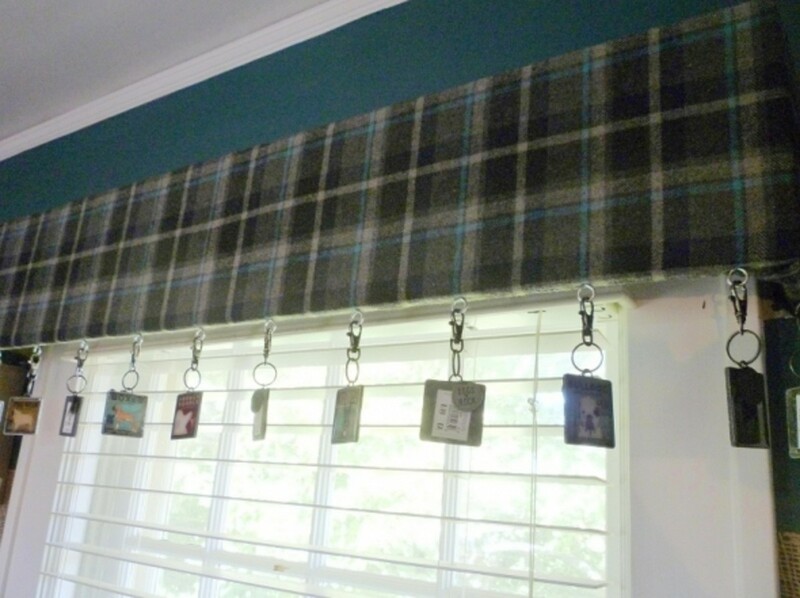 Which of the 15 Sew and No-Sew Upcycled DIY Window Treatment Ideas is Your Favorite? 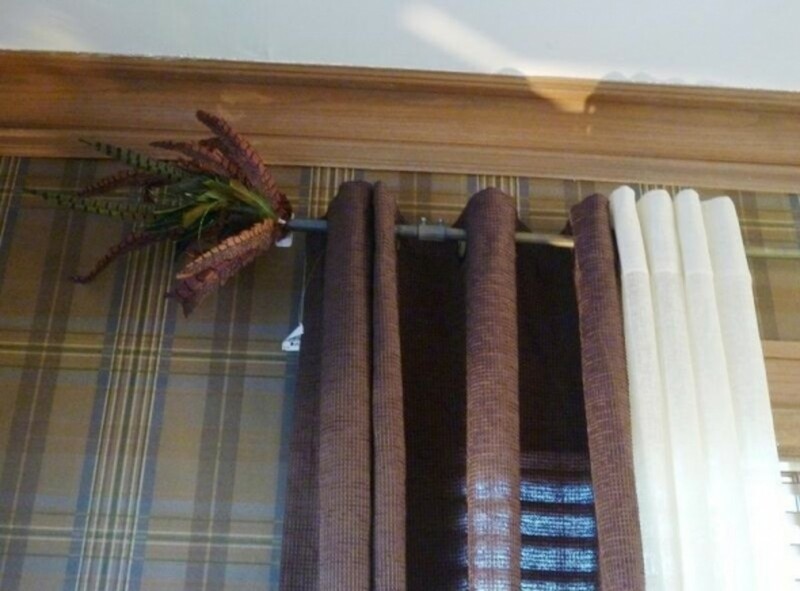 With the exception of the Happy Scrappy No-Sew Curtain idea, the remaining 'Sew and No-Sew Upcycled DIY Window Treatment Ideas' were all taken from various 'Ideas House' projects, sponsored by Bachman's, a retail and online floral and home decor store in Minneapolis, MN. You deserve to live in a beautiful home, one that helps to refresh and restore you to face each new day. Allow the information found in this article to inspire you to try one or more of these '15 Sew and No-Sew Upcycled DIY Window Treatment Ideas', so you can live more beautifully. 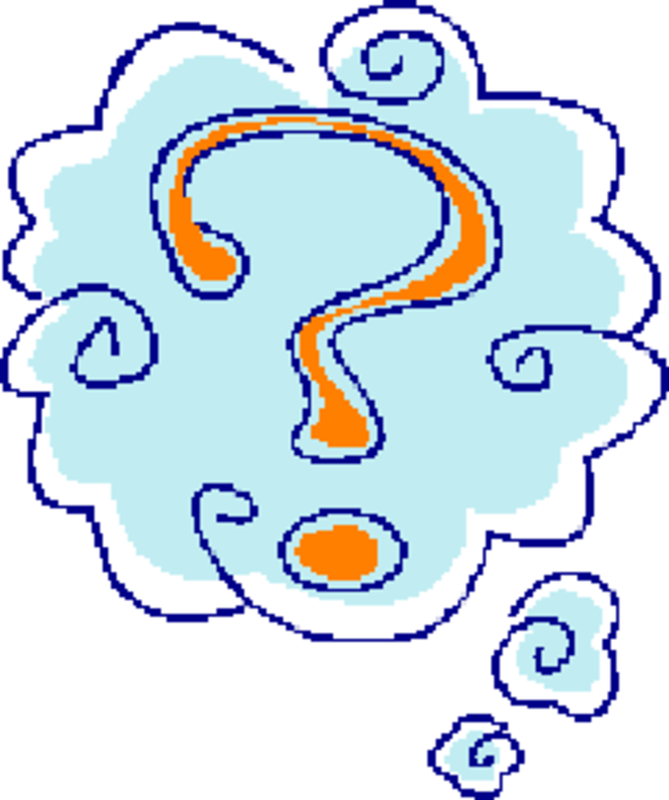 What Room in Your Home Needs Window Treatments Most? 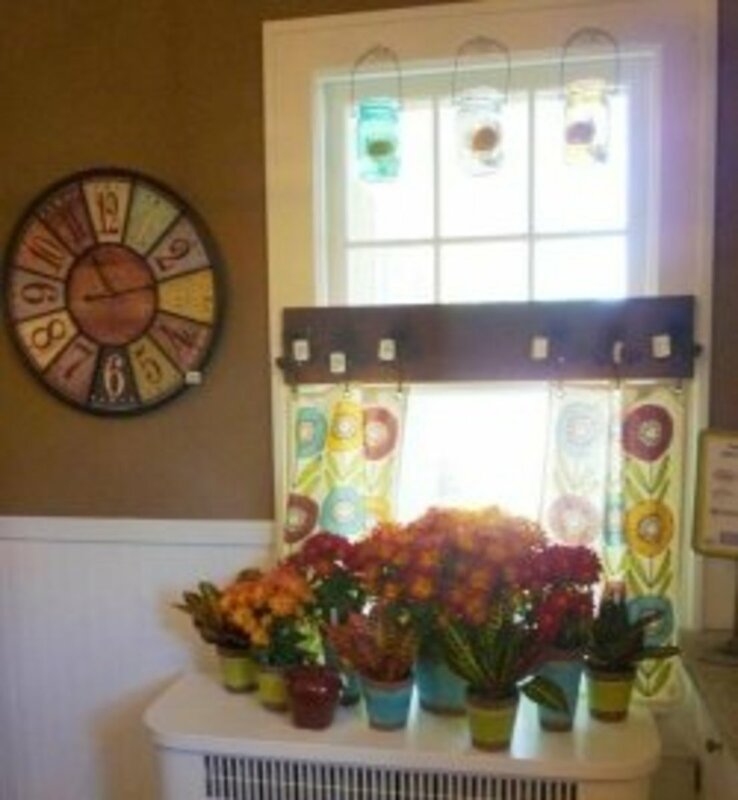 - Please share your favorite window treatment ideas here! 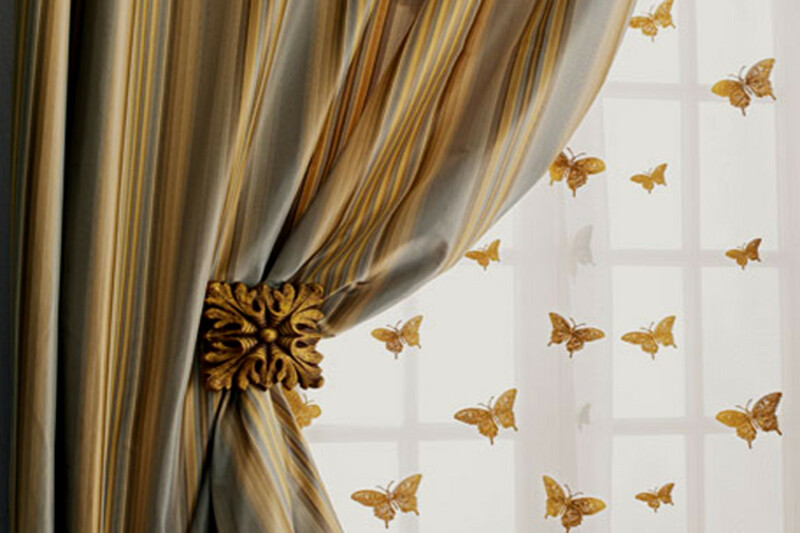 Fabulous whimsical and creative window treatment ideas. They really appeal to my Boho style. I used to use cloth napkins and towels like the tea towels you showed at the beginning, in the historic house I used to live in. 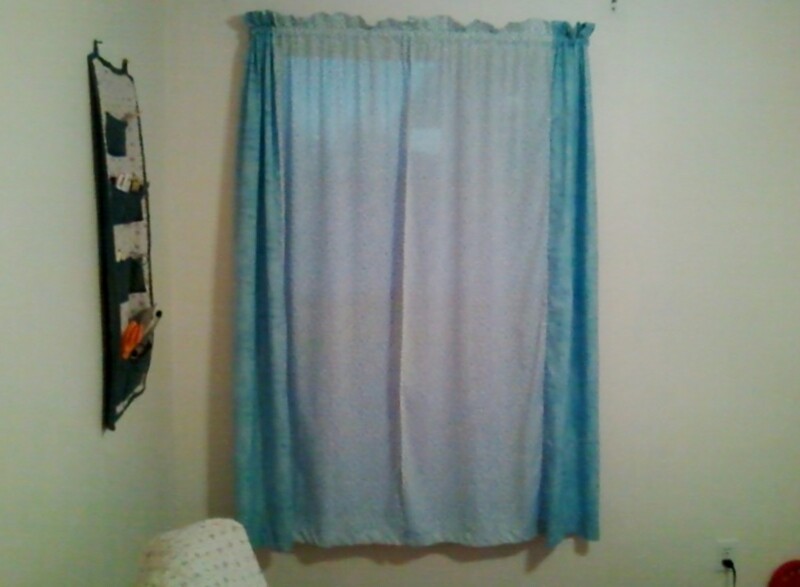 I used the curtain clips for easy changes, and covered just the lower halves of windows, or entire small windows. Easy and fun finding new patterns to use. Wonderful lens so full of easy imaginative ideas! Thanks so much. BTW, where can one purchase rabbit fencing? Thanks for sharing these pretty and helpful window treatment ideas. I really love the Tea Towel 'Stationary Panels'. The shutter cornice, the wire window box valance and the rabbit fencing valance are amazing, this lens is such a useful resource. I have a lot of vintage aprons and was wanting to use them as a window treatment of some sort. Was thinking of just tying them on a rod. What do you think? Any better idea? 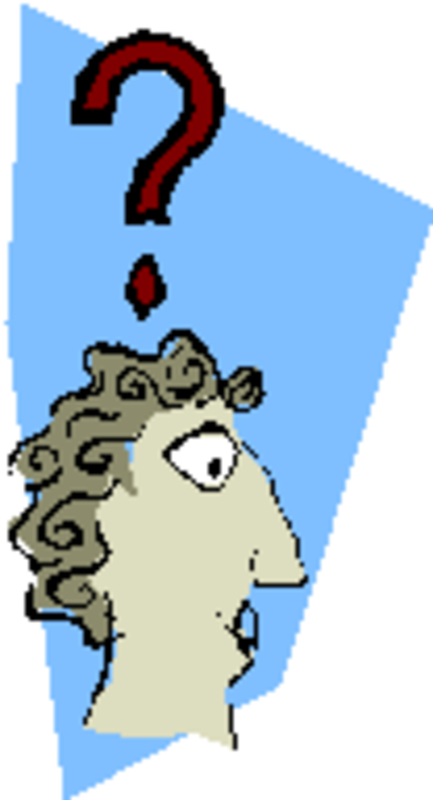 Great new ideas for me - love something new. Spring puts me in the DIY mood! So much inspiration! love this lens...I wrote something similar only I use dishtowels! but I see some on your lens I'm gonna have to try! I'm looking forward to decorating a spare bedroom, so I'm browsing for ideas. Wow! What a resource! Love this. Great job as always, Kate! Wow! You are so talented. Maybe you could come to my place in MD and help with, well, everything :-) I have a really cute backyard with lots of potential and so far I have done nothing. We could make a barter arrangement, yes? 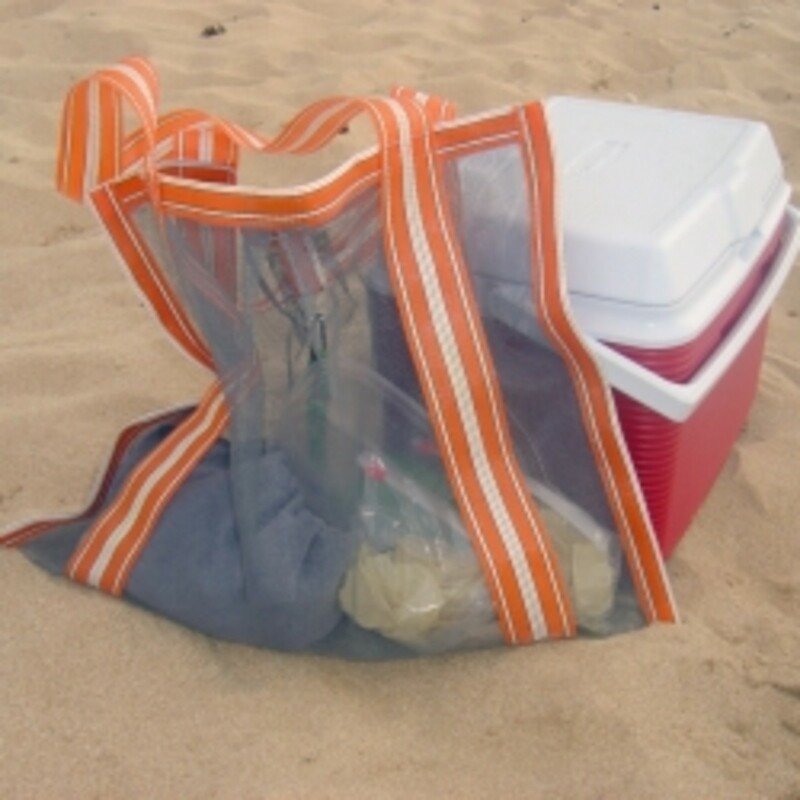 Love the no-sew ideas! Thank you. I am working on window treatments for my kitchen, my upstairs loft, and my cabin. Thanks for so many fabulous ideas. I plan to apply what I learned here.